Nartiang Durga Temple is a 500-year-old Durga Temple located in the Jaintia Hills district of Meghalaya, a state in North-Eastern India. Being one of the 51 Shakti Peethas of Hindu Mythology, this temple is one of the holiest sites for devotees of the Shakti sect of Hinduism. 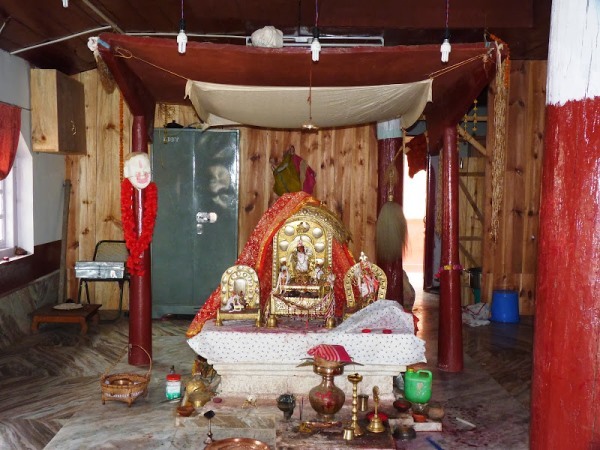 The Nartiang Devi temple is believed to be a Shakti Peetha, one of the most revered shrines of Shaktism because Shakti Peethas are holy abodes of Parashakti. The Shakti Peethas have originated from the mythology of Daksha Yaga and Sati's self-immolation Shiva carried the corpse of Sati Devi and body parts of the corpse fell into the path he wandered. There are 51 Shakti Peeth linking to the 51 alphabets in Sanskrit. Each temple has shrines for Shakti and Kalabhairava. The "Shakti" of Nartiang Devi shrine is addressed as "Jayanti" and the "Bhairava" as "Kramadishwar". It is believed that Sati Devi's left thigh has fallen here. The rites at the temple are not performed the conventional way as in the plains, but in a unique way, a blend of Hindu and ancient Khasi traditions. The local chieftain or Syiem is considered the chief patron of the temple. Even today, during Durga Puja, the Syiem sacrifices goats in the Goddess’s honour. Earlier, human sacrifice was offered at the temple, but the practice had been stopped by the British. The human head used to roll down a tunnel from the sanctum sanctorum to the Myntdu River flowing below. Nowadays, goats and ducks are sacrificed. But what is most interesting is the fact that the goats are made to wear human masks and then sacrificed. Durga Puja is the most important festival of this temple. During Durga Puja, a banana plant is dressed up and worshipped as the Goddess. At the end of the four-day festivities, the plant is ceremoniously immersed in the Myntdu River. A gun salute is also given to the Goddess on the occasion. The Central Puja Committee, the official representative of the Hindu community in Meghalaya, is the caretaker of the temple. It finances a major part of the daily expenses incurred by the temple and carries out development activities in the temple premises. It is also responsible for the popularisation of the Durga Puja conducted in this ancient temple. The Village of Nartiang is significant for its summer palace of the Jaintia King whose capital was Jaintiapur. The remnants of the summer palace are located on a hillock approximately two kilometres from the Nartiang market. 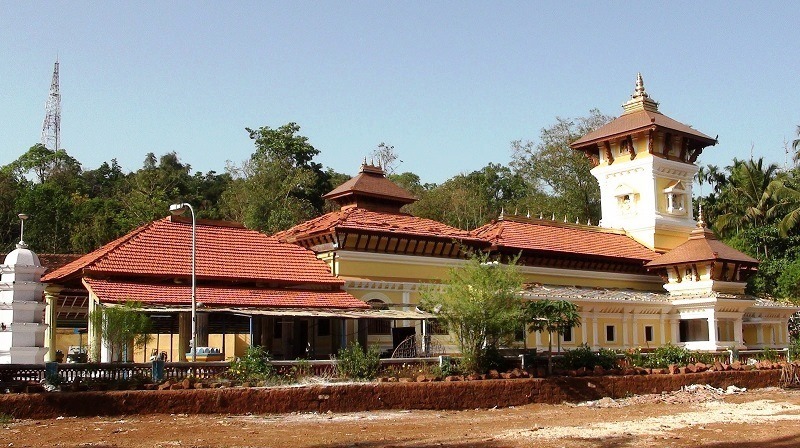 The Durga temple at Nartiang has become a favourite destination for Hindus, It celebrates the Durga puja every Autumn in a unique way with the fusion of the culture of Bengal and that of the Khasi-Jaintia Hills. In conformity with the Khasi custom of not using figurine images of Gods and Goddesses, the image of Durga is represented by a plantain trunk decked with marigold flowers. Close by, within walking distance, is the Shiva temple where one can see the remains of ancient cannons from the past inside the temple. At present there lies a Hindu temple in this vicinity and the priests who practice there are direct descendants of the original priests that came from Jaintiapur. By Air: There is a small airport at Umroi, about 35 km from Shillong. At present, Air India operates with the ATR42 type of aircraft on this route. Buses / Taxis are available from Shillong to Umroi and back. By Rail: There are no rail lines in Meghalaya. The nearest railway station is Guwahati. It is 104 km from Shillong and very well connected with all major cities of India. By Road: Meghalaya Transport Corporation (MTC) has bus services coordinated with train arrivals at Guwahati. The buses leave Guwahati beginning 6 am till 5 pm (three and a half hrs). Reciprocal services from Shillong also leave at the same time. Taxis are available at Guwahati Railway Station.